A superbly appointed family property, with delightful gardens and fantastic panoramic views of the beautiful surrounding countryside. 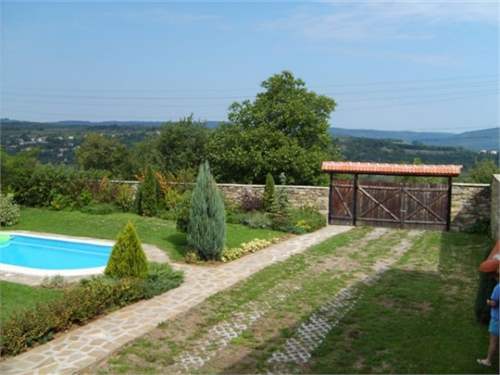 This ready to live in property is located in the thriving village of Ganchovets, 20 km south-west of city Veliko Turnovo and 3 km from the town of Dryanovo. The village has 2 shops/bistros, post office and train station. It has also a friendly and helpful locals and residents from other nationalities. 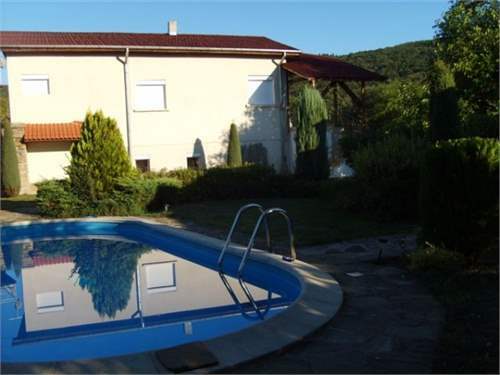 Set in a garden of 1480 sq metres, the house is built on two floors with a living area of 160 sq m plus swimming pool and outdoor covered kitchen/barbeque area. There is an ample parking space for a few cars too. Each floor of the house could be used completely self contained. Both levels are connected with covered external stairs. The house benefits from a brand new roof, internet, alarm system and good access to a main road. The ground floor comprises a kitchen that opens onto a living room, shower room/toilet, additional room (possible bedroom) and storage. The upper floor has two double bedrooms. One of them is enjoying en-suite facilities. There is also an additional shower room/toilet and open plan fitted and equipped kitchen/diner and lounge that opens onto a nice covered veranda with beautiful views. 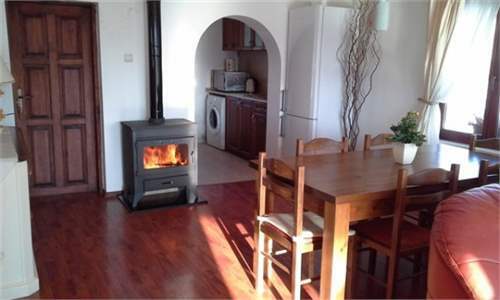 The heating of the house is provided by log fire supported by wall mounted radiators and A/C. 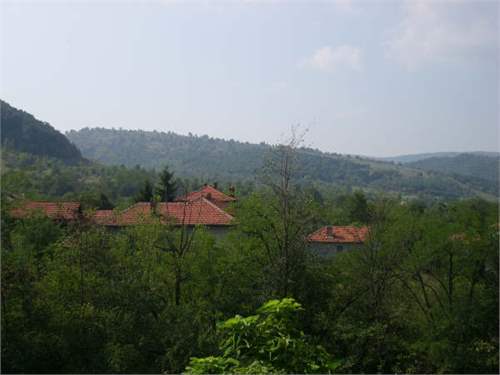 The house also benefits from an exceptional location facing south/north with panoramic views of the beautiful surrounding countryside and the Stara planina mountains. 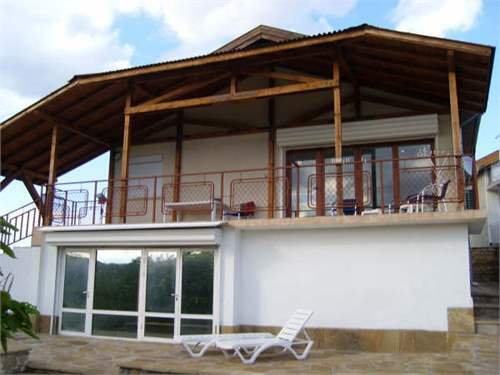 This property is located in: Gabrova, Gabrovo, Gabrowo, gabrovo, gaburobo, jia bu luo wo (Gabrovo, Bulgaria).